 Van Hoof Sport is able to provide a wide variety of services to their customers. Our extensive experience from years of rallying means that we perform every service professionally and thoroughly. Van Hoof Sport is specialized in the rebuilding of the Mitsubishi 4G63 and 4B11 engines. We have all the parts needed for an engine rebuild in stock. We also have a range of special pistons, con rods, headgaskets etc. to build a top of the bill engine. 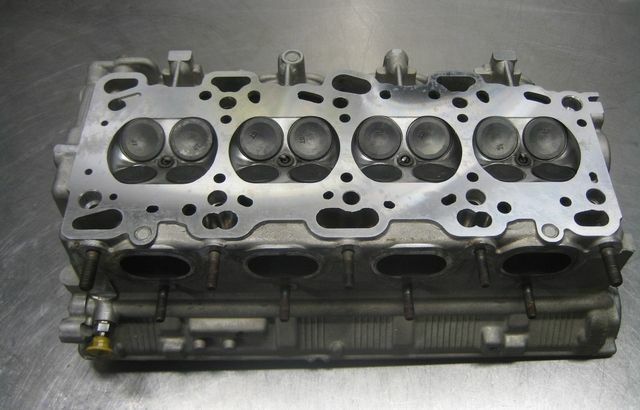 Van Hoof Sport can also provide rebuild services for other engine types. Van Hoof Sport is able to replace the bearings and rebalance the Mitsubishi Lancer Evolution turbo core. We also have upgrade axial bearings to cope with extreme loads on the turbo. Van Hoof Sport is able to perform complete transmission rebuilds for the Mitsubishi Lancer Evolution. Van Hoof Sport is capable of performing rebuilds for all types of Dog boxes, especially Drenth and Modena, but also standard synchromesch gearboxes. Van Hoof Sport has developed several heavy duty gearbox components which replace the standard Mitsubishi parts, these include e.g. strengthened diff casing, strengthened shift rods. 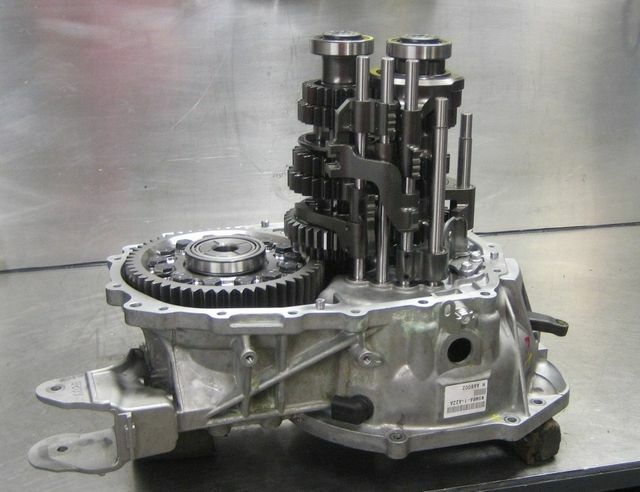 Van Hoof Sport is also able to rebuild the group A X-Trac sequential gearbox of the Mitsubishi Lancer Evolution. Van Hoof Sport can do the rebuild of all the differentials of the Mitsubishi Lancer Evolution. 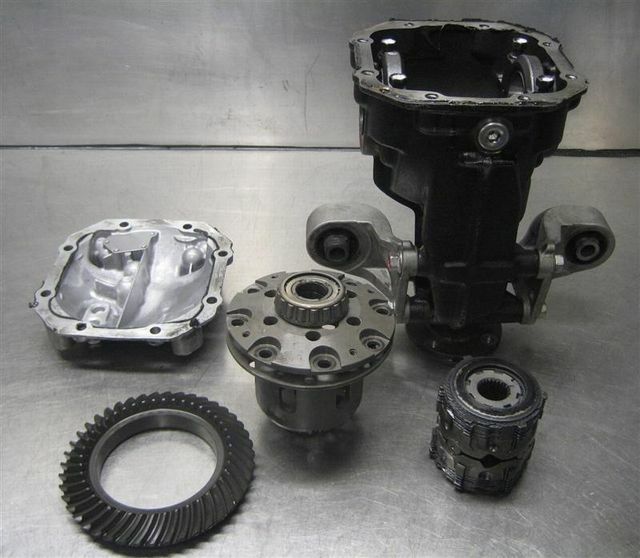 We can replace the final drive of the Evolution 4-9 front differential. Also we can do a complete rebuild of the Ralliart ront LSD and hydraulic centre differential. A complete rebuild of the rear differential is also possible. 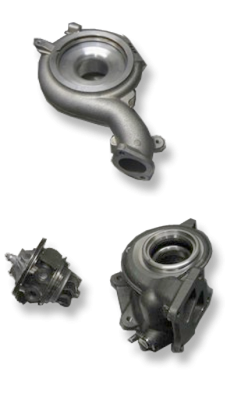 Van Hoof Sport has developed a specail LSD housing for the standard Mitsubishi LSD which is far superior in strength compared to the original Mitsubishi part. AYC diff pump unit rebuild prices start at €500,- ex VAT. 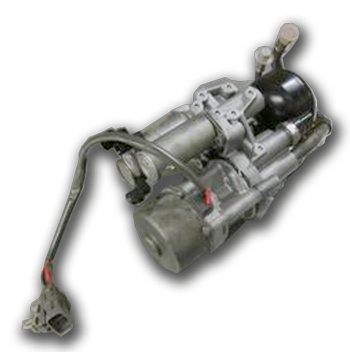 A common problem with the Mitsubishi Lancer Evolution is a malfunctioning AYC / ACD hydraulic pump unit. These pumps are fitted to the Evo 4-6 GSR and on all models of the Evo 7-9. A broken AYC pump will be indicated on the dashboard by an AYC warning light on the Evo 4-6 and 3 lit diff mode lights on the Evo 7-9. When the AYC pump is not functioning the handling of the Lancer Evolution will not be up to spec anymore. The diffs are controlled by hydraulics and when the pump is not functioning the diffs are not able to distribute the engine power to the wheels effectively. Van Hoof Sport is, in most cases, able to rebuild the AYC pump units. A new AYC pump unit will cost around €2500,- so it’s very expensive. A rebuild will be a much cheaper solution to get the handling of your Lancer Evolution back up to spec. First the AYC diff pump unit will be checked with special equipment to diagnose the exact problem of the failure. Next the AYC pump unit will be disassembled, cleaned and the exterior will be sand blasted. All parts will be inspected and the defective parts will be replaced. After reassembling the AYC diff pump unit it will be tested on a test bench to check if the pump and valves function correctly. When the pump unit has been succesfully tested it will be refitted to the vehicle and the hydraulic system will be bled with the aid of special testing equipment. Van Hoof Sport is capable to take on all chassis repair works for the all Lancer Evolution models. Our workshop is equipped with an allignment rig which allows us to correctly straighten and allign the chassis. Van Hoof Sport employs certified mechanics who carry out every chassis repair professionally and precise. 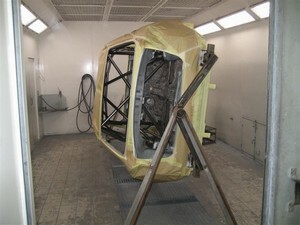 At Van Hoof Sport we have our own paint booth which allows us to perform the complete chassis rebuild in house. Van Hoof Sport can also perfrom a complete rebuild of your Mitsubishi Lancer Evolution rally car. We can check your car from top to bottom and make sure that your car is once again in top condition.